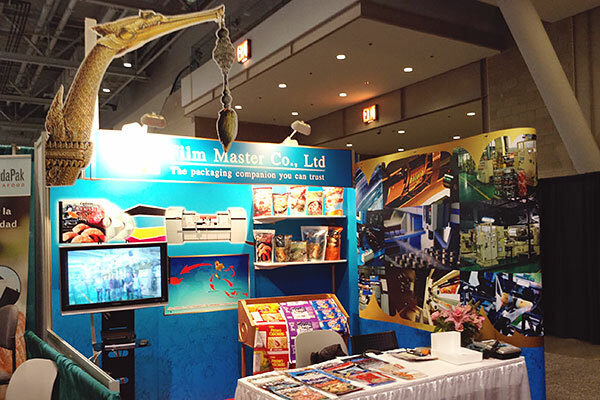 Towards Excellence in Printing Flexible Packaging in Asia. Continuously develop our staff professionally, practice with the corporate culture of utmost commitment and adhering to morality and ethics. Striving for the excellence in every aspect to timely serve our customers with the best quality products and services. Develop effective and efficient management and action plans. Well-planned investment for continuous development with modern technologies, machineries, tools and equipments, raw materials and our professional staff to attain every customer's highest satisfaction and sustainable success. Walking along with customer success with confidence and trust. Willful Working with determination and perseverance to achieve the goals. Insistent Unwaveringly doing the right thing, fairly and openly. Honest Building trust with integrity and sincerity. Develop Efficiently and effectively applying knowledge, competence, techniques and different processes into practice. 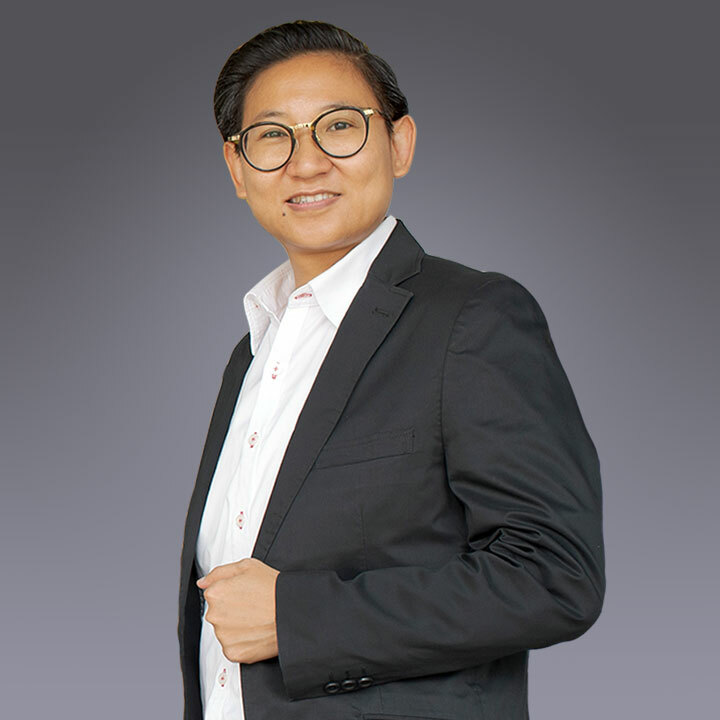 Dr. Suthasinee Nitisakarintr began the flexible packaging business over 45 years ago. 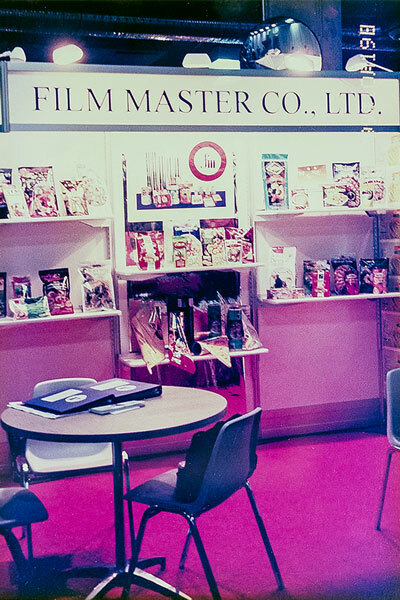 She established Film Master Co., Ltd. in 1986 as a small business with 10 employess. 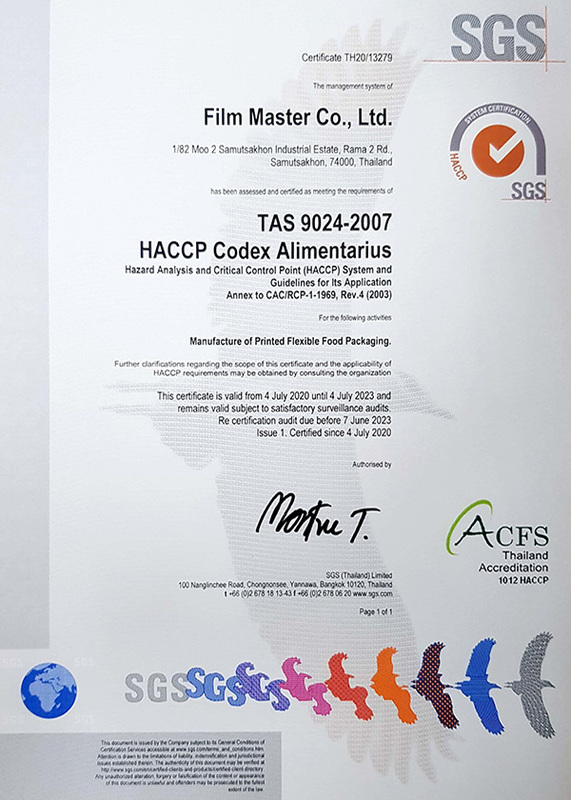 Nowadays Film Master Company is located in Samutsakhon Industrial Estate on 6 acres of land, with over 300 well-trained employees. 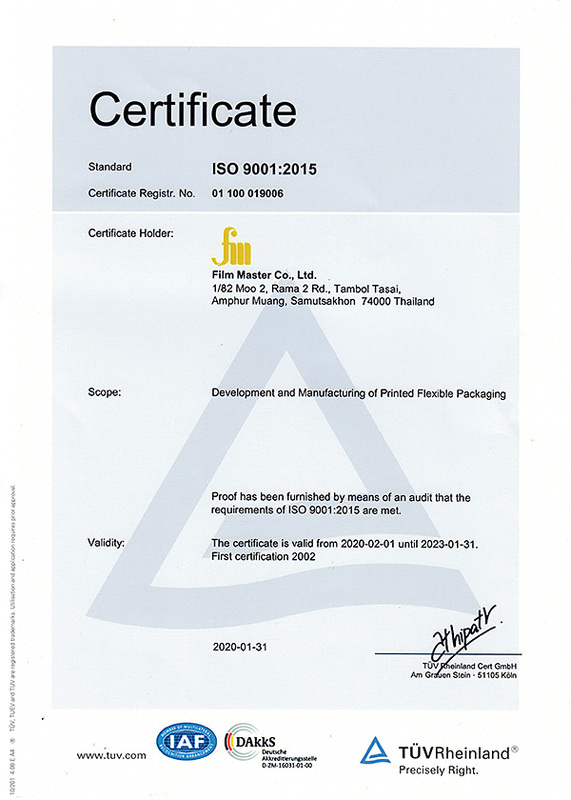 We are widely recognized locally and internationally for our excellent services with high technology computerized system by investing continuously in state of the art machinery as well as our superior commitment of satisfaction with quality and the sustained success of customers in the long term service..
Film Master was the first Thai manufacturer of printing flexible packaging that participated in the internationally renowned PACK EXPO at Las Vegas in 1999 and Chicago in 2001 and Boston Seafood Show at Boston in 2013 which certified the company’s international standard of production, and entails confidence and trust of a great member of leading manufacturers. Pack Expo 1999, Las Vegas USA. Pack Expo 2001, Chicago USA. 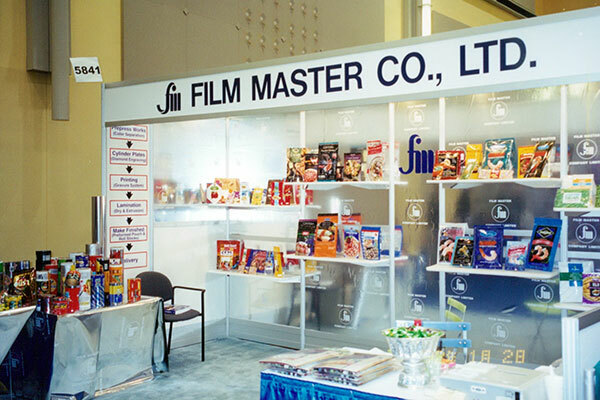 Film Master's customers attention always deliver products the most effective and efficient way. From our ISO9001:2000 certificate awarded in 2002, today we are certified of ISO9001:2015 from TÜV Rheinland in 2016, GMP and HACCP from SGS in 2017. These are the reward to our continuous improvement in quality management, safety and environment system, to creating values that surpass customers' expectation. thus we relentlessly pursue excellence for outstanding products and best services." 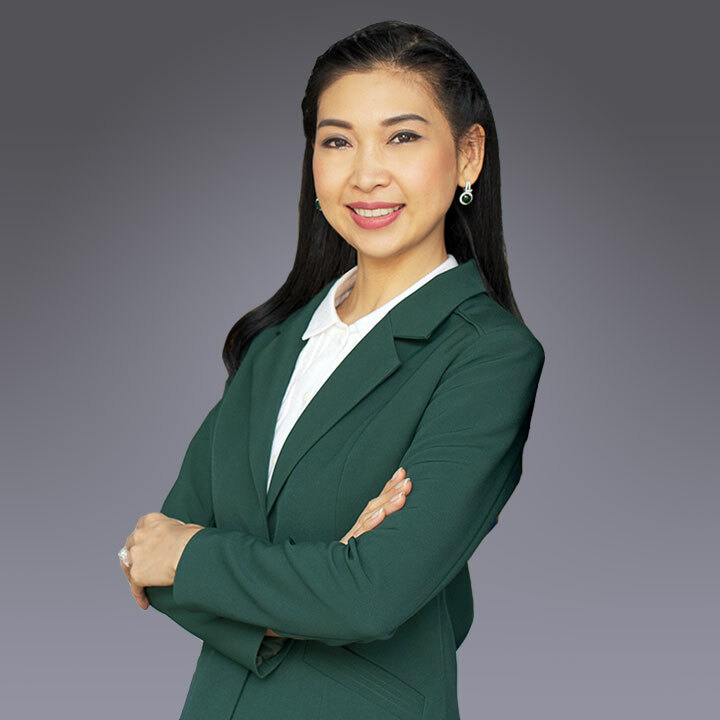 Our team is made up of highly experienced professionals fully committed to provide a high quality service, aiming towards success of our customer business.